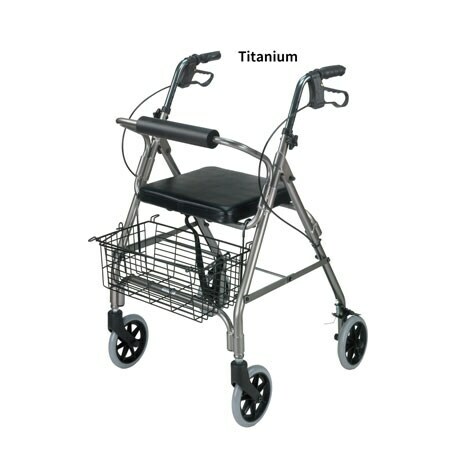 Our Ultralight Aluminum Rollator weighs only 15lbs but has a weight capacity of 300lbs. 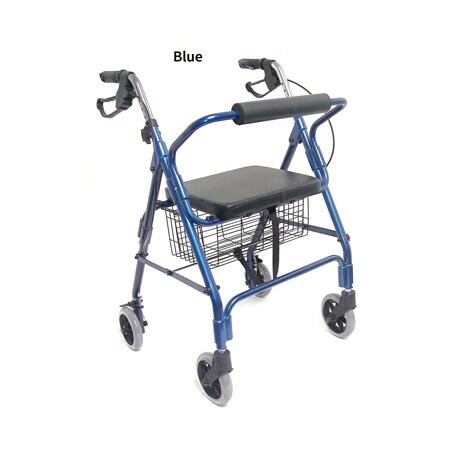 Not light on features, this rollator has comfortable handles with locking loop brakes, a padded backrest and a generous seat for relaxing. It folds for storage or transport, has a 16"L x 8 ¾"W x 5 ¾" D basket, and handles that adjust from 32" -36". Large 6" wheels make getting around easy. Latex free. 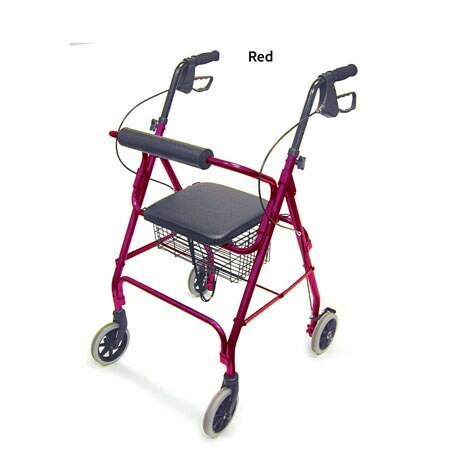 24" wide UltraLight Rollator comes in your choice of colors. Item can only be shipped within the Continental US. Extra shipping charges for this item: $+10.